This is the twine portion of Loominary. If you'd like to learn more about the entire project, click here. Loominary is a game system that uses a tabletop loom as the controller for the games. The games are written in Twine and the choices in the game are shown in distinct colors. 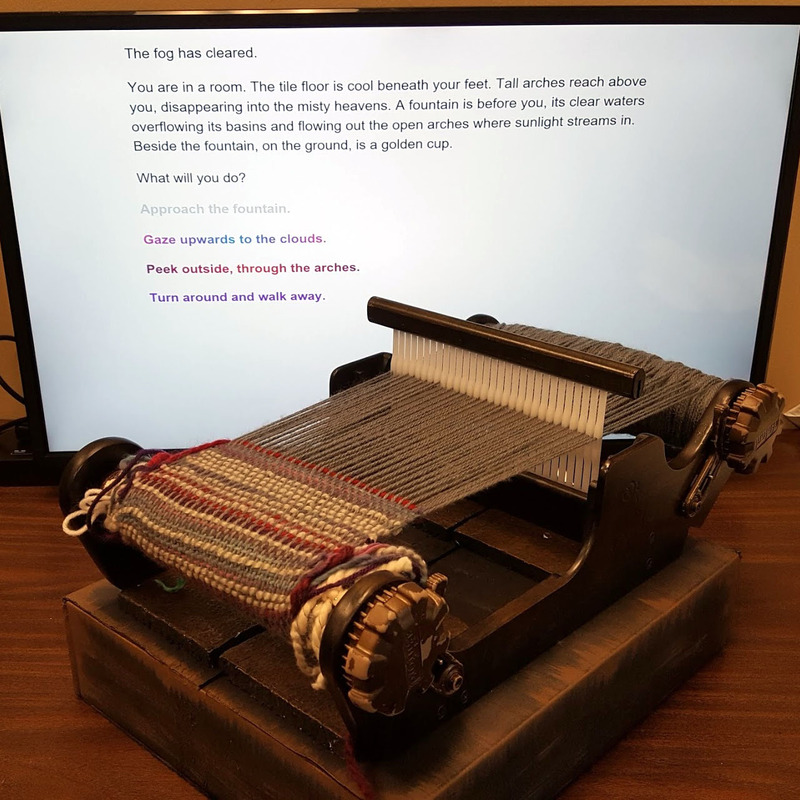 The player weaves with the appropriate colored yarn to control the game, and in doing so weaves their choices into a scarf they are actively making through play. When game play is complete, the woven scarf will be unique to each player’s set of choices and exist as a more permanent record of their play session.